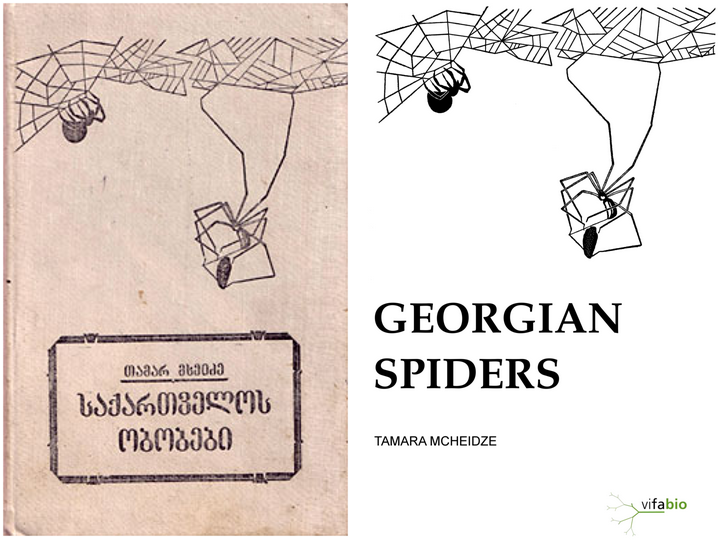 Covers of the Georgian original (Mcheidze 1997) and the tanslation (Mcheidze 2014). 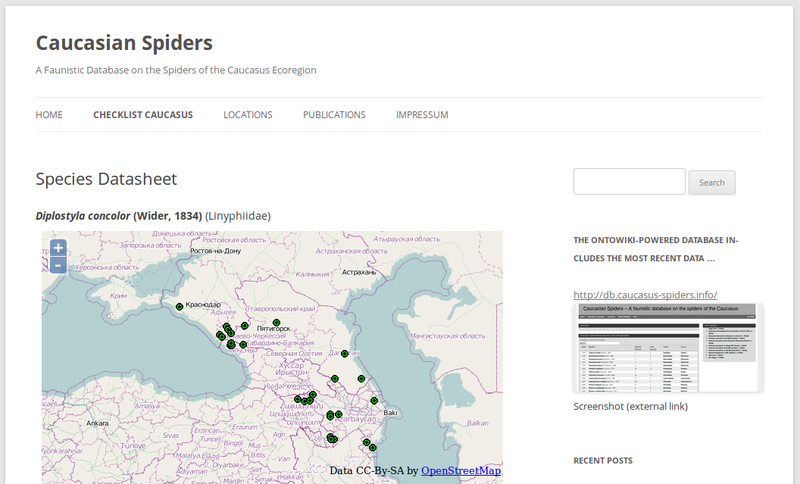 After five years the translation of Tamara Mcheidze’s book Georgian Spiders (1997) is finally finished (download Georgian original as PDF); it contains taxonomic, faunistic and ecological information on the 362 spider species recorded by T. Mcheidze in Georgia between the 1920s and 1992. The English edition resembles the original text, with a preface and taxonomic comments by me. You can download the e-book from the vifabio repository (use download link in the right column) or the direct link. It is an open access publication with a CC-BY-SA license. I also added supplementary information (pp. 401-425) on locations, a location map and an index to make the mentioned spider records more accessible. Enjoy reading! Dieser Beitrag wurde am Januar 8, 2014 von Stefan in New Publication veröffentlicht. Schlagworte: Caucasus, Georgian Spiders, Tamara Mcheidze.